One moment you’re up. The next you’re down. And so it goes for everything FIFA. Last Wednesday, the international world of soccer was rocked with one of the biggest scandals in sports history. With the unsealing of a 47-count federal indictment, nine FIFA officials and five corporate executives were charged with racketeering, wiring fraud, money laundering, bribery, and enough other crimes that you’d think you were sitting through a Martin Scorsese flick. Of course, not everyone appeared to have the book thrown at them. Despite all the big names mentioned in the indictment, one name stood out among the rest — the name that wasn’t mentioned — FIFA president Sepp Blatter. Not only was Blatter not included among those charged, but he had every intention of running for re-election. In fact, only days after the world learned just how corrupt the international governing body of soccer was, Blatter still to managed to win a fifth term in office. What kind of madness was this? How much longer would we be forced to endure this blatant disregard for human decency? Not that long, actually. On Tuesday, Blatter did the only thing that seemed to make any sense: He resigned from his position as FIFA president. 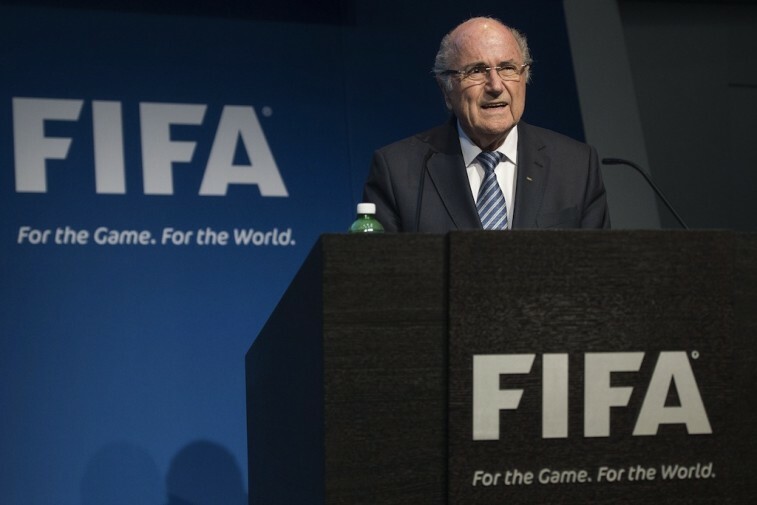 Blatter made his announcement while speaking at a news conference in Zurich. And while he spoke to the audience in French, FIFA released a full transcript in English. “I cherish FIFA more than anything and I want to do only what is best for FIFA and for football,” Blatter said in his resignation. “I felt compelled to stand for re-election, as I believed that this was the best thing for the organization. That election is over but FIFA’s challenges are not. FIFA needs a profound overhaul. “While I have a mandate from the membership of FIFA, I do not feel that I have a mandate from the entire world of football — the fans, the players, the clubs, the people who live, breathe and love football as much as we all do at FIFA. That’s right, folks. Although Blatter is resigning his position as the president of FIFA, he will continue to carry out the duties of the office until his successor is elected. Of course, that’s not going to happen overnight. According to FIFA’s laws, a president can only be elected at a FIFA Congress. And wouldn’t you know, the next ordinary FIFA Congress doesn’t take place until May 13, 2016. Even if the Executive Committee puts together an Extraordinary Congress to help make the transition happen quicker, FIFA will not have a new president for at least a couple of months — so says Domenico Scala, the chairman of FIFA’s Audit and Compliance Committee. 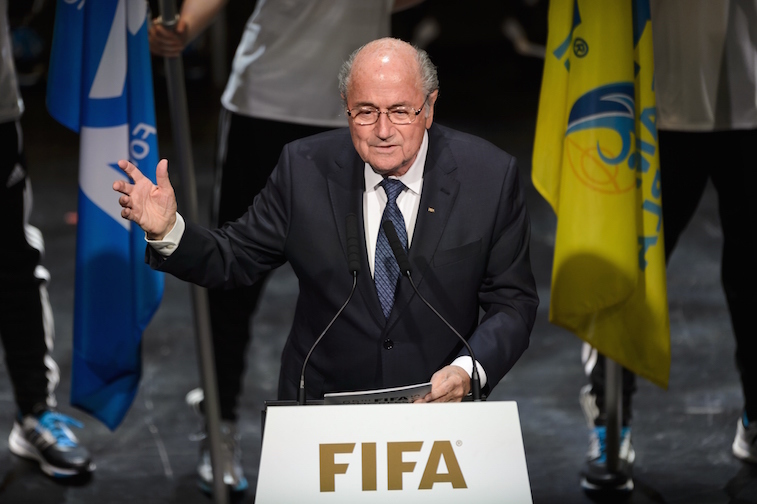 Blatter has tapped Scala to be the man responsible for helping him implement these changes and reforms. So if we’re to read the writing on the wall, it’s up to the Executive Committee to get together and organize an Extraordinary Congress so that FIFA can hold a new presidential election. Only, in Blatter’s opinion, this committee should be scaled down and elected through the Congress. On top of that, a man who has now been elected president five times, believes that there should also be term limits for elected members in FIFA. Interesting. This FIFA scandal has officially gotten out of hand. After decades of corruption, even a resignation will not immediately remove president Sepp Blatter. Despite his recent resolve to remain as the head figure of the international governing body of soccer, something — or someone — clearly got to the five-time president. We can’t help but think that something else is going on here. And we wouldn’t be surprised if bigger news dropped in the near future. 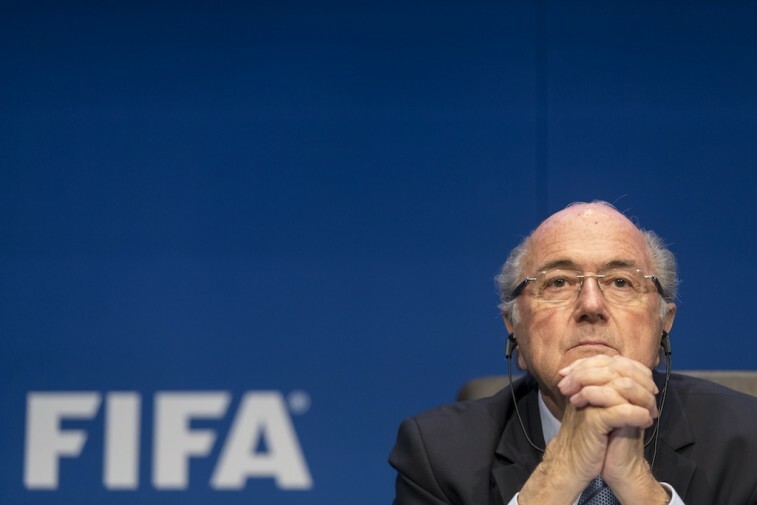 However, until that time comes, Sepp Blatter has resigned his post as the president of FIFA. Well, sort of.